From I-35,take US-190 west to Loop 121 (less than a mile) North past one stop sign to a traffic light where there is a large school on the northwest side. Turn left (west) at this light on Sparta rd and follow this road 5 miles, you will cross a cattle guard entering FT Hood.Continue straight another 2 miles then turn right on Cottage rd at the Belton Lake Outdoor Recreation Area sign. There are 3 different campgrounds at this one recreation area. RV site rates are based on single and double occupancy. Monthly rates vary on occupancy and season. Cottage rates are based rank and season. Stay limited to 30 days Apr thru Sep and 60 days Oct thru Mar with approved extension. Not all RV sites are 50 amp, some are only 30 amp electric. 25% discount for Golden Age/Access and America the Beautiful. 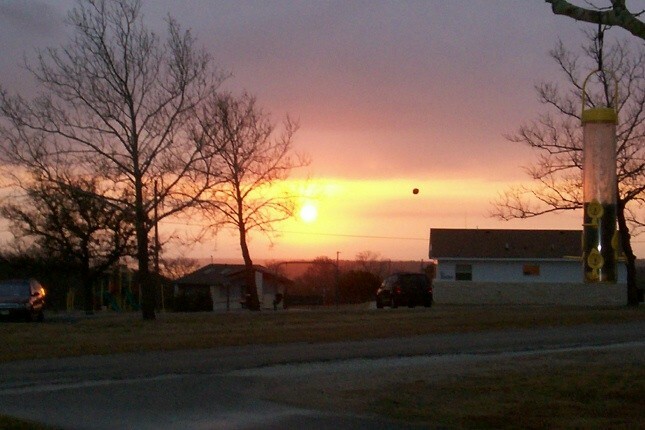 Stay for a night, weekend, or longer any time of year at BLORA's RV or primitive camping areas or cottages. Recreational vehicle campsites are available in three locations in the park. RV sites have electricity and water hookups, and picnic shelters. Dump stations are located conveniently near the RV parks. Sites are filled on a "first-come, first-served" basis. Several acres of land have been designated for primitive camping at BLORA. Ten fully furnished one-bedroom cottages are available by reservation. D.C. left this review using the Directory software: - We were given a campsite that had so many trees, there was no way we could get sat TV, I asked if we could move to another site, I was told by a woman that it was too much of a problem, however two men helped change me to a better place. This is a large place with lots of places to walk your dog. For such a large place they should have more washers and dryers than one each. Love this place. Staff is great, management is amazing. It feels like your family. Great trails, basketball, volleyball, lake is great, fishing is great. Tons of parks all over for kids to play on. We can’t seem to go home it’s so comfy. Love love love this place, very nice and relaxing. The staff is amazing!!!!! They have renovated all the damage from flood and it’s great!! Grandkids love this place. The place is kept up so nicely. Great place to come. It’s our home away from home several months out of the year!!!! Carl the Manager is a notch above the rest! Gina his assistant is so sweet n helpful. Laura the director has really beautified the place. BLORA – Fort Sam Houston $17 a day concrete slab RV site with electric/water/ covered picnic table/grill Pros: The price!! This is by far the cheapest campground we have ever stayed at Full hook ups are only $1 more a day, if available There are 3 RV areas at BLORA Trails near the grounds This place is HUGE! 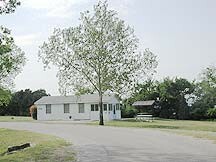 It’s situated on a 12 acre lake perfect for fishing, swimming or just enjoying the view Sites are relatively level Friendly staff (available 24hrs a day) Covered picnic areas by the water Parking everywhere, you can move your RV to be by the water for the day Free waterslide/paddleboats (after June 1st) Cottages, pavilions, picnic areas for rent Dry storage for boats/RV available Horseback riding trails nearby Mountain Bike trails nearby Civilians can come on post for $10/car, DOD pays $3/car – fee waved for your RV stay Cons: No swimming in the lake until after June 1st (lifeguards must be on duty) No WiFi Laundry consists of 1 washer and 2 dryers that are housed outside and are simply nasty Long distance to anything including base (10 mile drive to nearest gate) but that means star filled skies Though there are plenty of them throughout the park the bathhouses were more like a prison restrooms than a Park restrooms with metal toilets! None of them were well cared for, I have never seen such a bug build up in restroom supposedly being maintained by staff. People speed through the park constantly, I’m talking 40/50 MPH which is annoying but even more so very dangerous – we like to walk while in RV parks and doing so at this park was truly not worth the risk of being run over. 2 dump stations in park, both a bit awkward to get into and they are always flooded with well water so you will get your feet wet while dumping tanks +/- As we mentioned there are 3 separate RV areas in this park a little bit about each: Cottage RV park = near rental houses, have full hook ups but the layout is awkward between the water/electric/dump, there is ZERO shade for this area so be ready for the heat in the summer Cedar RV Park = These sites are closest to the lake but they only have 50 amp hook ups and none of the sites are full sites (electric/water only) Deer Park = the most shaded pads of the park, middle between the other two parks, Laundry is located at this park *** = They are adding additional RV spots in a field along the shore line in what they currently call We were told they were working towards upgrading the sites to full hook ups with 30 and 50 amp so be sure to check with them for current information. Pls read past reviews on BLORA. Not much has changed. I asked about the "newly refurbished' sites, but no one knew about them. Deer Park is still the only open lakeside area. Half the sites are full hook-ups. The other half are w/e only, tent only or closed. Inspect first. Bathhouse was cleaned up, pretty fair. Showers-the same. One washer and dryers in bathhouse. For the first time we stayed "up top" in the "cottage area" closest to BLORA office. All these 16 sites are full hook-ups. Water hookups are on the "wrong side", so have plenty of hose. BLORA is a great value if you're bringing your boat to fish to just get away from the city. For RV'ers looking for a stop-over location or brief stay-not the place to come. But then it wasn't built for that reason either. Some of the "old" staff from West Fort Hood Travel Camp are working here now and that's good news. Monthly rates can't apply America the Beautiful pass. They give you a discounted "daily" rate. We paid $375 for a month. Didn't stay due to construction underway. It's shorter to say simply, call first. As of today there are no full hookups and depending on what you need or must have there may be no sites avail. One of three areas is closed completely. Word is full hook ups w/ 50 amp Svc are being installed in the next months. Call first! This facility has degraded . Very much in need of upgrades, befitting the "great places". Seems only to looks forward to making money from the crappy lights at christmas. I enjoy camping here, but I see a departure of standards. Stayed at Belton Lake, Deer Park, Fort Hood, TX on 30 October 2014. Our cost with Golden Age $12.75. Pricing on this site may be incorrect. RV Campground is very nice and in the woods. Bathrooms were what made it so bad. They were dirty with worms crawling all over the walls and floors and many other bugs. My wife reported the same in the ladies room. Metal hand rail in shower was rusting; commodes/urinals look as though they had not been cleaned in months, if ever; shower floors were filthy. One stall had dried feces on the floor indicating it had been there for awhile. My wife reported similar results, minus the feces, in ladies room. Overall, so FILTHY that we decided to not use them and to leave the next day. Before leaving, we did take photos of the bathrooms. Reported the above to the Office and were told they would be sending someone to check on the problems. The Famcamp is wonderful with beautiful surroundings, lake; forest and deer. We witnessed several BLORA vehicles just driving around and doing nothing else. Maybe the Admin Office could better use those individuals time a little better and save on fuel! Sitting here at BLORA stables RV sites (really nice place, IMHO the best kept secret on the planet) and I simply MUST remark: I'm on the high side of 50 now, and I never... NEVER... in my life thought I'd see ever the day when going to some considerable effort to not expose people to a horrible flu bug... would be so unappreciated! Gah! Only other comment: mebbe need to update the prices listed here? Haven't been back to BLORA in a few years. No current reviews, so here goes. Sites are strictly hit or miss. Your "full services" site may not really have sewer-it all depends. The "w/e only" site they give you, may have sewer-it all depends. Get out and explore before you unhook. We stayed in the Deer Park section and the bathhouse was atrocious. Dirty and messy like the old state park bathrooms you remember. One shower (out of two) was inop. The working one had an on/off lever only-no temp controls; Filthy-didn't use it. The folks running the place were nice. Its off the road 10 miles but that's why most folks come here; to use the lake & enjoy getting off post. 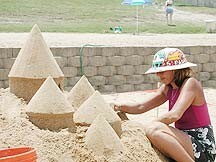 Belton Lake Campground is a great place for people who fish, have boats and jet skis, or children. 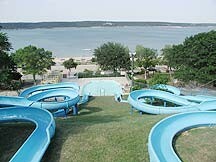 Nice big free water park type water slide, free paddle boats, beach, etc. But we aren't water people and don't have children. We would have tried to get into the West Ft Hood campground, but I completely forgot about it. We had a nice site overlooking the lake, and was able to use our roof top satellite dish, and our Verizon Mifi. But we would have been more satisfied at the West Ft Hood campground (the NEW section, not the old section). It is much closer to the main base (commy, PX, etc), and town. The rate was good, tho; $10.50 for FHU (30 amp). We were there in a 40 foot Class A. We arrived Dec 14th and stayed for 2 nights. Didn't realize that we were going to have a magnificent Christmas light display! Security office did advise us that if we were leaving the campground that we would have to be prepared for the traffic. So we quickly went to the commissary and did our business before night fall. The next night (Saturday) we sat in our chairs and watched all the traffic- for 5 hours it was bumper to bumper! But there was no noise and we just enjoyed the display :) We did have a difficult time finding the place, but it was worth it! 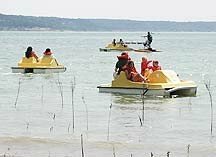 This was our first visit to Belton Lake Outdoor Recreation Area (BLORA) and it was very memorable. We were on site 8 on top of the hill when you first enter BLORA. We had very good TV reception using our 5th wheel stock antenna. It is about 8 miles to the base, where there was a very good commissary and exchange. The Christmas light display on BLORA was the best and biggest Christmas light display that I have ever seen. It took us over and hour to drive through it all. If you have the chance to come here the end of November or December, you will not be disappointed in the light show. I spent over two weeks here in October 2011. It was a wonderfully comfortable, affordable RV experience. Kudos to the security personnel. The were extremely helpful, maintain excellent gate security and roving patrols, especially at night. Directions on how to get there are weak. There has been some upgrades on TX 121, such as adding stoplights and not updating street signs. Turn left off 121 at the third stoplight as you go north from 190, further identified by the overpass just before it and the large stone on the left marking the Nazarene Church. Also just after you turn left there are schools just down the street on your right. We stayed in Deer Creek Park area. It is not unusual to see deer browsing in the fields. 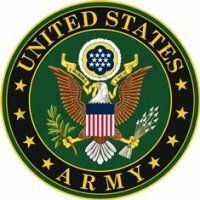 On the chance that someone from Fort Hood reads this, there are several water hook ups that are leaking underground or just at the surface. After a dry summer you can tell by the green grass growing only around the hook up. This RV area is a good value and I recommend it. If you are tent camping as we were, it is horrible. Their is no shade to speak of. Maybe 3 trees. The bathroom is a long walk away with no showers. You have to drive way up to the RV section for a shower. T.L. left this review using the Directory software: Very nice campground.Saw deer near our campsite. Only negative no Verizon cell service or broadband on phonecard. Only 2 chg's from 2 months ago. This visit Dee asked me if I had an (federal) America the Beautiful Pass. Just having finished our grand western tour -I had the National Parks/Monument pass and it saved me more money right here at BLORA. Only $9 per night w/ the pass!!! Now that's a deal. Thnx Dee. Back in Sept no one told me about it & I didn't know to ask. Second update -BLORA's Christmas light show starts today. It begins at 1730 nightly. This update is significant because BLORA chg's the roads in & thru the RV park. After 1730 each evening you can't get out of the RV park. It's open to the public & I'm told there is a LOT of traffic. So it you're coming in to stay at BLORA for the next month- be sure you know the new times to get in & out of the park each evening. We were told by the folks at West Ft. Hood Famcamp that the ONLY way to get to BLORA was thru' Ft. Hood. NOT So. it's lots easier if you come from Belton. I'd follow the directions listed here, and not drive 30 minutes across Ft. Hood. The last review said it all. Sites are hit & miss. 1 is paved with W/E/S the next door site is a poorly sloped, gravel mess w/ nothing (or partial). We finally found a "full hook-up" site. Then after setting up, we discovered that the standard white, PVC pipe that RV parks across the country use for the sewer drain-is NOT the sewer pipe here at BLORA. It's a cutoff for the water. So the "full hookup site" I thought I had, really had no sewer. No matter-there is a dump. Just confusing, but it is a pretty place. The marina/lake layout is identical to Ft. Sam's rec area of Canyon lake. If you have a boat & are a fisherman this looks like a great place to HQ for the winter months. For an overnight-not so great. This is a beautiful place to stay and play in the summer and beautiful at Christmas time. Can't say much for the bath houses - cold. The sites are good for smaller rigs but we didn't maneuver too well in our 37'. Our stay was pleasant.